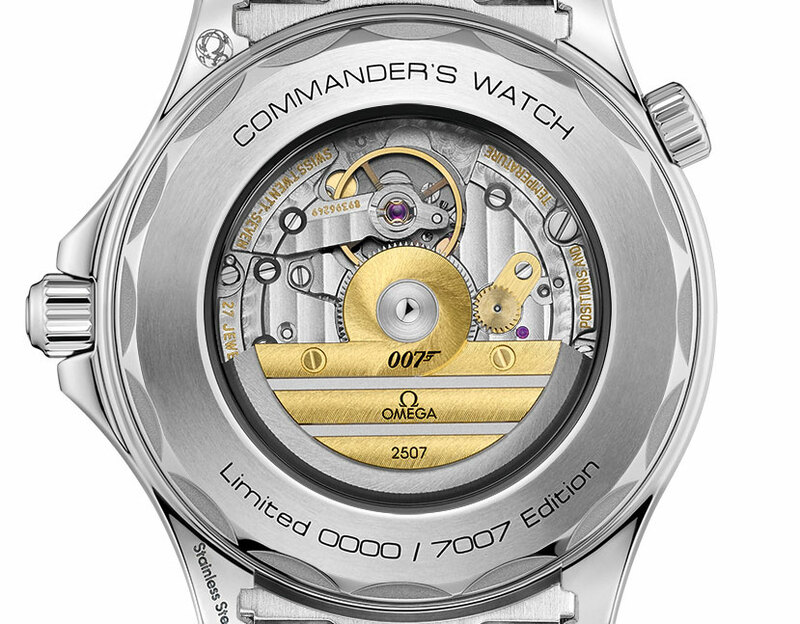 007 gets yet another limited edition wristwatch, now inspired by his military rank. 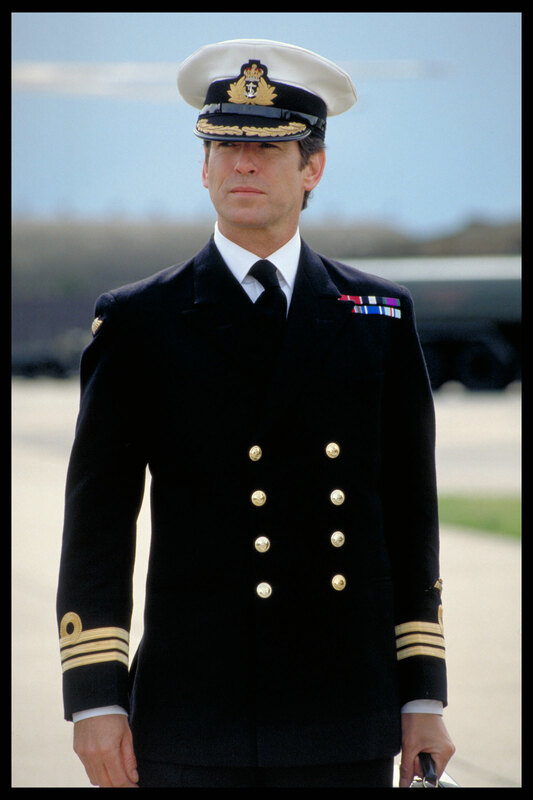 Ian Fleming’s fictional spy is Commander in the Royal Navy Reserve, a rank equivalent to Lieutenant-Colonel that’s the basis for the latest Omega James Bond limited edition. 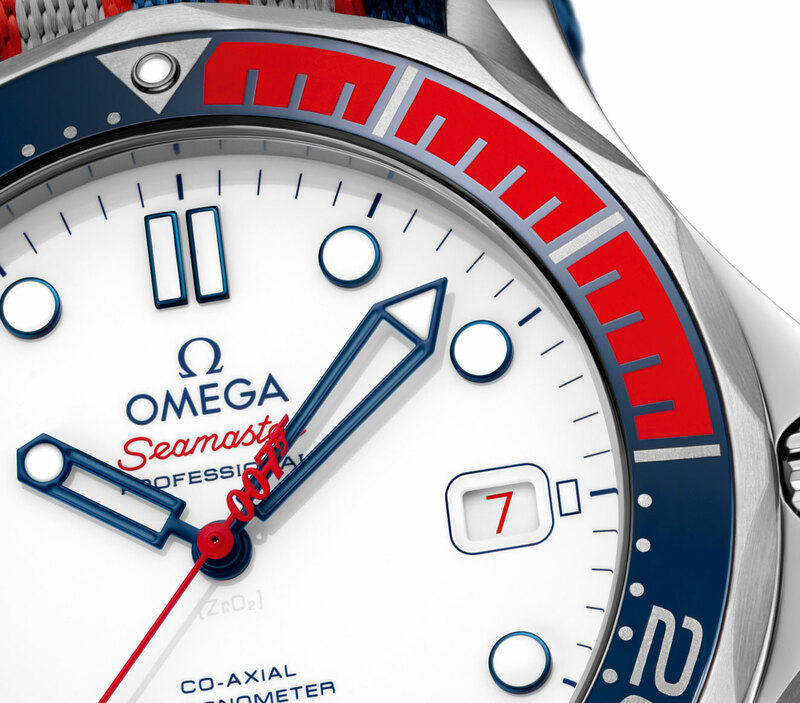 Based on the Omega Seamaster that Pierce Brosnan wore during his first outing as 007 in Goldeneye, the Seamaster Diver 300M “Commander’s Watch” is clad in the colours of the Union Jack, and it’s notable for being the first James Bond timepiece not tied to any film. 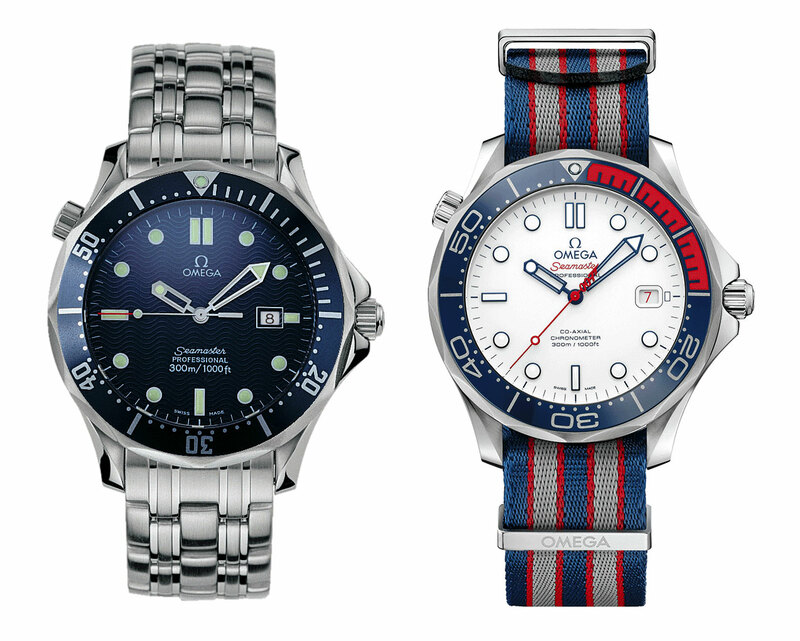 Since the Seamaster first hit the big screen on Brosnan’s wrist in 1995 (though it was later upgraded to the identical looking automatic model), the dive watch has become a trademark of James Bond (and a very profitable franchise for Omega), even after Daniel Craig took over. Although Craig most recently sported the retro Seamaster 300, the blue Seamaster automatic Brosnan wore in his five films as the British spy is arguably the signature James Bond wristwatch. The Seamaster Diver 300M “Commander’s Watch” reproduces the design of the original Bond watch, but in new colours and the latest materials. The steel case is 41mm with a blue ceramic bezel insert that has markings filled with Liquidmetal (an amorphous metal alloy), while the dial is glossy white ceramic. And typical of most James Bond editions, the seconds hand counterweight forms the “007” logo. Another nod to Bond’s code number is the “7” on the date disc that’s in red, while all the other date numerals are black. The clear case back reveals the cal. 2507, a variant of the cal. 2500 that’s Omega’s version of the ETA 2892. 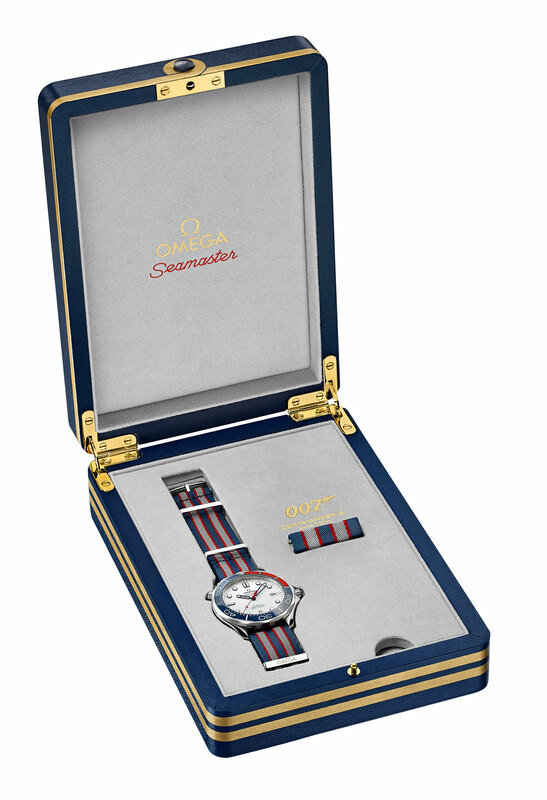 This version of the movement features a customised rotor that’s decorated with three gold stripes and a loop, the rank insignia of a Royal Navy Commander. And the centre of the rotor is shaped like the a bullet, another Bond motif. 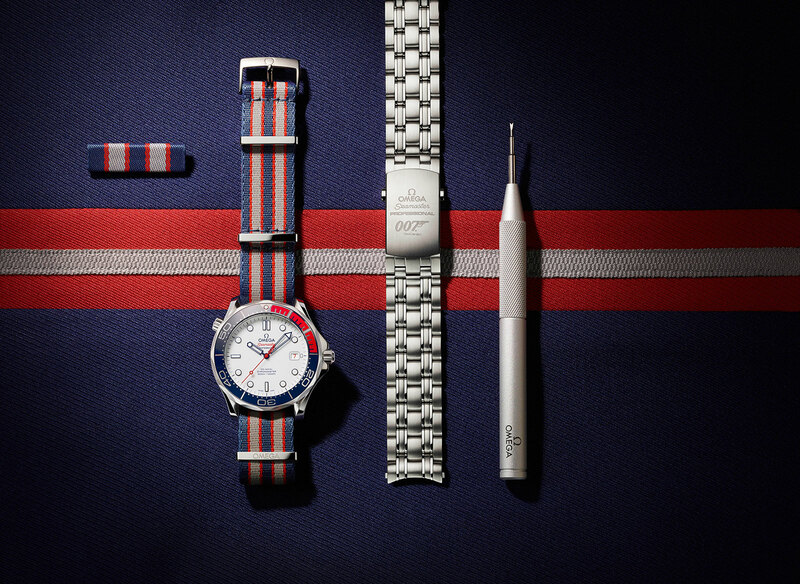 The Seamaster Diver 300M “Commander’s Watch” is packaged in a box modelled on a military medal case that also contains a steel bracelet, a strap changing tool, and a pin shaped like a service ribbon that reproduces the colours of the NATO strap that accompanies the watch. While the Commander’s Watch in steel is limited to 7007 pieces, Omega is also producing a seven-piece limited edition with an 18k yellow gold case that’s otherwise identical. 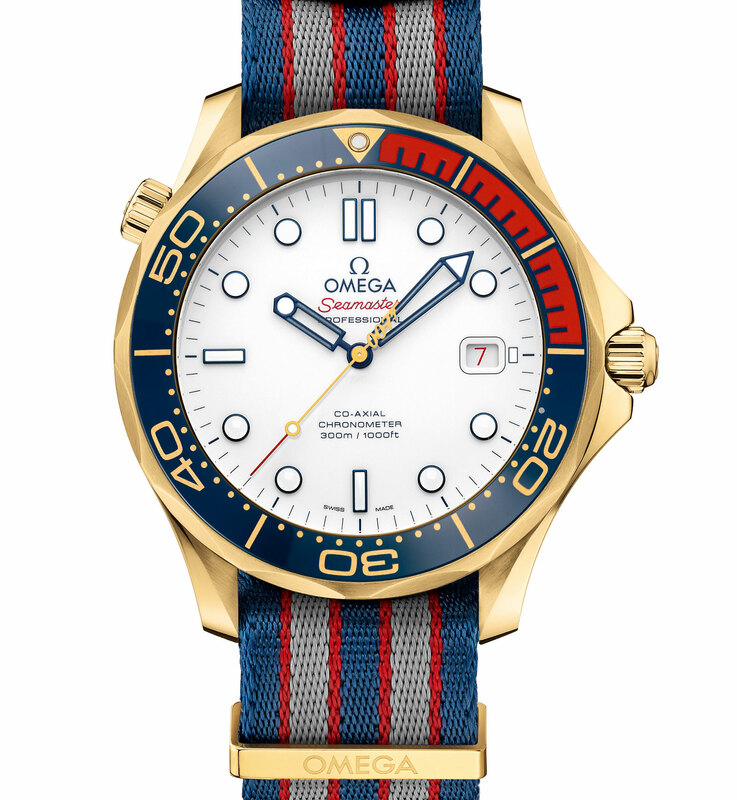 In late 2017 Omega will conduct an auction to sell three examples of the Commander’s watch – in steel, 18k yellow gold as well as a unique piece in 18k white gold – with proceeds going to various charities. 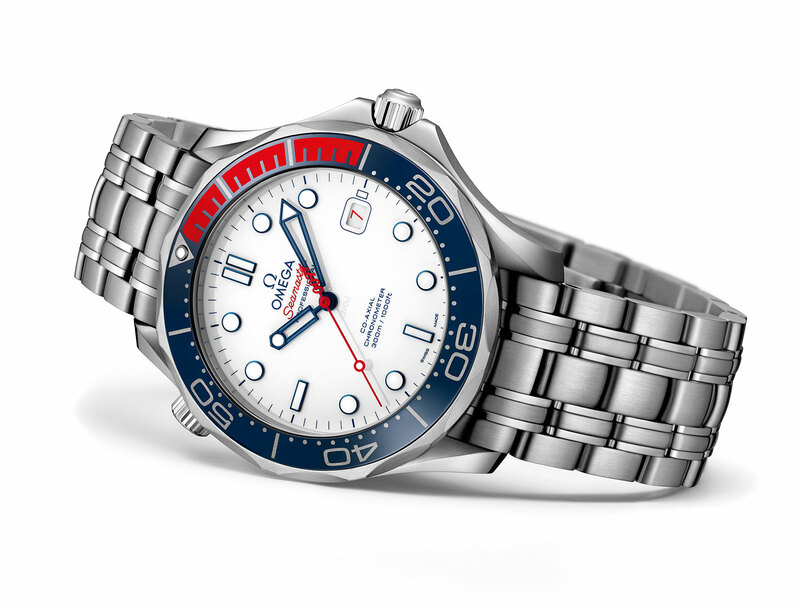 The Seamaster Diver 300M “Commander’s Watch” (ref. 212.32.41.20.04.001) is limited to 7007 pieces, priced at US$5000, €4600, or S$6950. It will be available at Omega boutiques and retailers starting August 2017. The 18k gold “Commander’s Watch” (ref. 212.62.41.20.04.001) is limited to just seven pieces, priced at US$28,000 or S$42,000. Addition July 11, 2017: Image of yellow gold version included.